KHL.ru keeps on reviewing the seasons for the league’s teams. Today it’s the turn of Dinamo Minsk. One of the most popular teams in Belarus had a rocky start of the season, then improved things a bit, but without managing to get to the playoffs. Last summer, the team decided again to self-impose a limit on foreign players; Ben Scrivens, Matt Ellison, Sergei Kostitsyn, and head coach Craig Woodcroft left the team. The team hired Gordie Dwyer – who earlier coached Medvescak Zagreb – as a new head coach. The team had a rocky start of the season, then had a few very good games, but didn’t manage to reach the playoffs. Dinamo started the season with six defeats, gaining a total of two points. However, the team looked bad only in the game against Jokerit (1:6), when Eeli Tolvanen had a hat-trick. On September 6, the team had their first win in Sochi (4:2). One of the best parts of the Dinamo season was the September home series against Urals teams. Two shutout wins over Traktor (3:0) and Lada (2:0), a defeat against Avtomobilist (1:3), and an incredible win over Metallurg (5:3). Dinamo was down 0:3 by the 46th minute but then scored five unanswered goals, with the game-winning goal being scored at just 45 seconds to the horn. The team continued to be in a fever and could not get to the playoffs zone. And that tasted even worse, considering that Dinamo was able to defeat several cup contenders at home, as the team defeated Torpedo, Ak Bars, Neftekhimik, and Avangard. 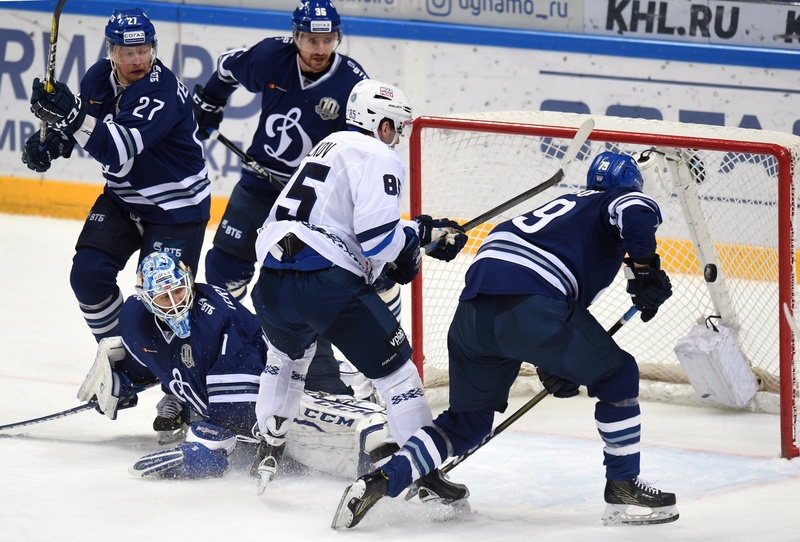 Midway through December, Dinamo defeated SKA in St. Petersburg (3:2 SO), and right before the New Year they repeated the feat, this time at home (6:3). At the start of January, Dinamo had an important home series with Far East teams, but the three defeats in three games meant abandoning any dream of the playoffs. But this didn’t prevent Dinamo from having some good games. On January 20, in Riga, the second KHL open-air game was played. Minsk was down 0:2 for most of the game, but then managed to tie the game up and at just four minutes to the horn, Jack Skille gifted the Belarusian team a deserved win. After a couple of good seasons in Medvescak, Gordie Dwyer had in front of himself a new challenge in Minsk. The team gradually got closer to the kind of hockey he had in mind. From time to time, the Minsk-based team looked great, especially against the top teams. The players are already used to working under a foreigner head coach and the team decided to renew the contract with Dwyer and his staff for a further season. Dinamo Minsk had a number of good games this year, it’s hard to pick only one. But two games were worthy of a mention. On September 17, Dinamo was losing 0:3 against Metallurg by the 36th minute, then had an incredible comeback. From the 47th to the 53rd minute, Dinamo tied the game up with a double by Alexander Kitarov and a goal by Alexander Pavlovich. At just 45 seconds to the horn, Evgeny Lisovets scored the go-ahead goal ad at just one second to the end of the game, Pavlovich made it a 5:3 game. On December 29, Dinamo faced SKA St. Petersburg at home. After the first period, Dwyer’s team was down by one goal. But in the second period, Dinamo managed to score Igor Shestyorkin four times in just three minutes and a half. SKA tried to get back on track and pulled the goalie when the score was 4:2 but allowed two empty-netters. The final score was 6:3 in favor of the guests. Dwyer’s teams had enough bad games, but one of these games entered in the KHL history. In the first game of the season, on August 23, Dinamo faced Jokerit at home. After two periods, Minsk was down 1:2, and in the third period the 18-year-old Eeli Tolvanen gave a masterclass in great hockey, scoring three goals and becoming the youngest player ever to score a hat-trick in the league’s history. The goalie Jonas Enroth was one of the team’s key player for this season, and Dinamo won many games thanks to his strong showing between the pipes. The 2013 World Champion deserved a call to the Olympics, where Sweden didn’t show their best hockey. 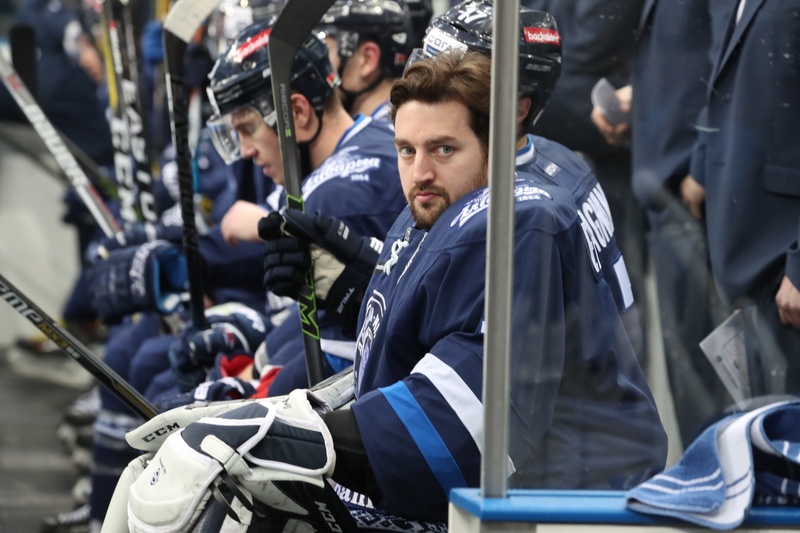 Minsk can be optimist towards the new season as Enroth decided to renew his contract for a further year and new signings – with the Kostitsyn brothers amongst them – will certainly strengthen the team. There were many expectations on veteran forward Alexander Materukhin. He could not find his way with the new head coach. Last year he scored 22 goals, while in 2017/2018 he scored only five (0+5) points and left the team midway through the season.